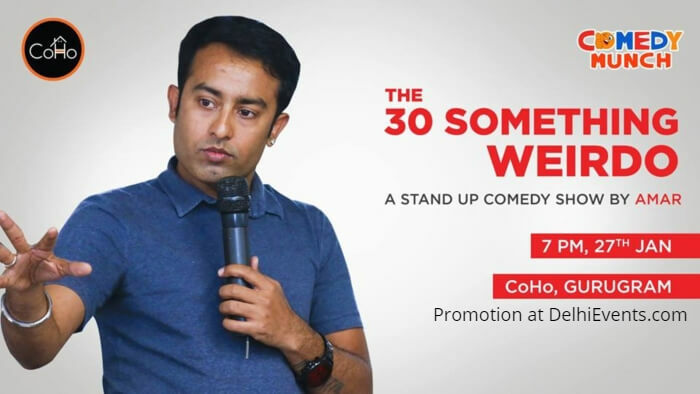 The 30 Something Weirdo- Amar is 30 something, an MBA, a writer and Stand-Up Comedian. He has been doing comedy for over 4 years after quitting his job and sanity. He jokes about several subjects which drive him mad like Delhi, Gurgaon, women, Start-ups, Politics among others, like his current state of life. Quite a weirdo he is, for his 30 something years. If you have a weirdo in you, come hear him out.